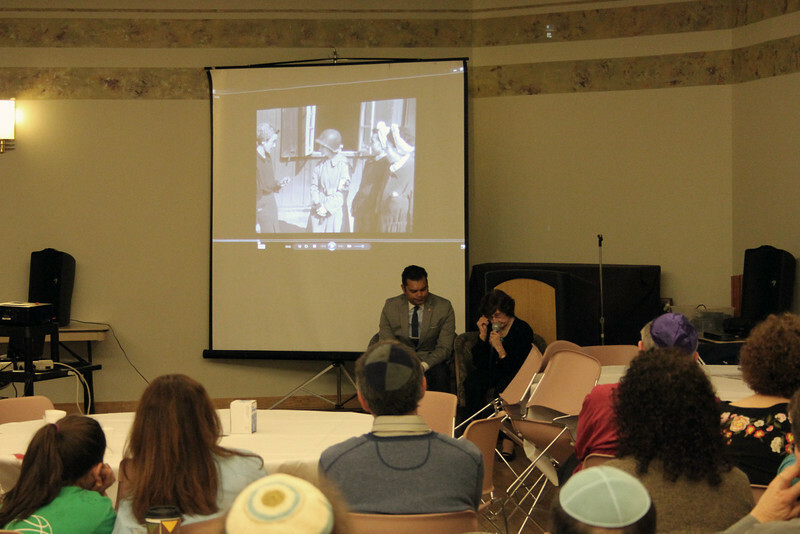 This year we marked Yom HaShoah with a discussion with Dorothy Pecora. A country farm girl from Orient, Ohio, Dorothy is a decorated Army nurse who served in WWII. She worked tirelessly caring for survivors of two Nazi concentration camps in Penig and Ebensee. She appeared in a newsreel helping one of the few ambulatory survivors out of a Penig shed. That footage was later shown along with other evidence of the Holocaust during the Nuremburg Trials. Dorothy was one of the first on the scene at Ebensee, where prisoners were simultaneously starved and forced into heavy slave labor and others were subjected to unimaginable medical "experimentation". For six weeks she administered IV's and fed those who could still swallow broth. During WWII, she was one of 194 nurses awarded the Bronze Star as well as five battle awards. We also held a blood drive before, during and after the speaker session.